Solutions for chapter 2 of "Drupal 8 Site Building"
In this video we provide answers and walk through the challenge tasks. Be sure to stick around until the end. Let's look at the solutions for the quiz first. Question one: why are some popular modules not in core? So the answer is B, they were not ready in time for major Drupal release. A, they do not meet 50% of all use cases isn't quite right; it should meet 80% of all use cases before a module gets entered into core. C, translations aren't a requirement for a module, though they're a plus and D, they were not created by a respected developer. While evaluating the developer is helpful for figuring out whether a module is worth installing, a module for Drupal core is chosen on the basis of merit. Question two: which contributed module releases get security advisories? And the answer is only stable releases. Nothing else does and this is an important thing to remember if you're using any other version of a module. Question three: the word admin is a secure username, true or false? False, the reason being that admin is a commonly use username so with bots that are trying to force their way into a site, admin is one of those usernames that they're going to try early on. It doesn't necessarily mean that hackers are going to get into your site if you have a user called admin, they would have to know the password as well. But in general, it's good to choose a username that's a little more unique especially for the administrator accounts on your site. Question four: which core module is responsible for adding the responsive toolbar at the top of the screen? The answer is toolbar; the admin toolbar module is a helpful addition to the toolbar and it creates hover over, drop down menus. But it's not a core module and it doesn't create that toolbar, toolbar does. And question five: what was the text of the quick edit link that we clicked to remove the site title? The answer is edit block; the point of this question is to get you thinking about what exactly it is that we're editing on the page. Okay, let's move to the challenges. So our first challenge was find a popular Drupal eight module (more than 5,000 users in the Drupal eight version) to install. Evaluate its health, install it, uninstall it and remove the module folder. 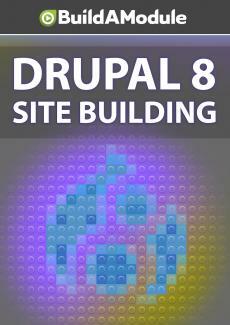 Okay, so the first thing we need to do is find a drupal eight module. So I'm going to go to drupal. org and I'm going to click download and extend. And here at the top I'm going to narrow this down to modules and down here there's a drupal module section and we can narrow down which modules we want to see based on the drupal version. So I'm going to search for eight. And what we're interested in is the most installed here. The one at the very top is called chaos tool suite. And we can see more of these if we click the more most installed link. This is a great place to get ideas about what modules are being used the most out in the wild. So let's do this top module, chaos tool suite. We'll end up installing this module later as a dependency of a different module. So let's check out how many users there are. So it looks like it's getting close to a million. Let's see if there are more than 5,000 in the drupal eight version. Scroll down, drupal eight version: 14,000 so we're good to go; I'm going to go back. The next thing I would look at is all issues and it looks like there's about 1,000 open of 3,000; so that's about a 30% ratio even though this is a ton of issues, that's still pretty good. I'm going to scroll up to the top and see how recently this has been worked on. So it looks like the last commit was about a month ago. So this is still a pretty active module. The fourth thing I'm going to do is look at one of the maintainers. Now when it comes to evaluating maintainers, you can look at all of these to get a sense of who it is that's worked on this project. But it eclipse GC, Chris, has been working on this most recently. So we scroll down, we can see that Chris works on a lot of different projects.